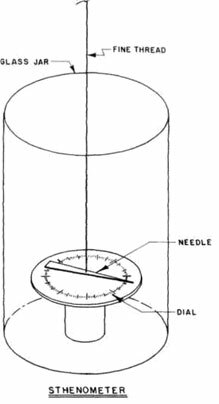 The Psychic Howler – Vintage Ghost-hunting Tools Diagram of a sthenometer. I feel a certain historian’s nostalgia for the trappings of those earnest, innocent early days of psychical research. Perhaps vintage-style ghost hunting clubs will have a resurgence, bringing back old-time séances with mysterious music played on caged squeeze-boxes by unseen hands, flour sprinkled to detect footprints, thermoses of tea, Harris Tweed…. To celebrate National Ghost Hunting Day and the World’s Largest Ghost Hunt, see The Professional Ghost, Charlie Dove, Ghost Eradicator, and my recent posts on The Black Ghost, parts one and two.